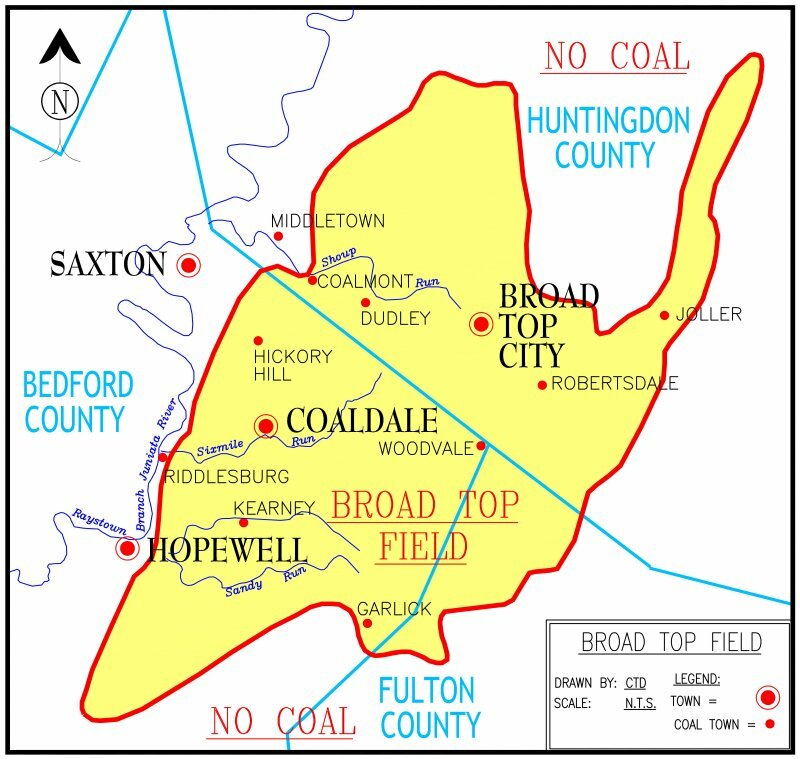 Broad Top Coalfield, Map of Coal Towns. The Broad Top Bituminous Coalfield is not connected with the main Appalachian coalfields, but exists as an isolated coalfield in the southern part of Pennsylvania. The coal there is considered low-volatile, or "smokeless." The three coal seams that are mined in the Broad Top Field are the Fulton, which is actually the Clarion seam, the Barnett, which corresponds with the Lower Kittanning seam, and the Kelly, a seam that is actually a continuation of the famous Upper Freeport seam. Coal mining in this coalfield dates back to colonial times, expanding to large scale commercial development in the 1850s.